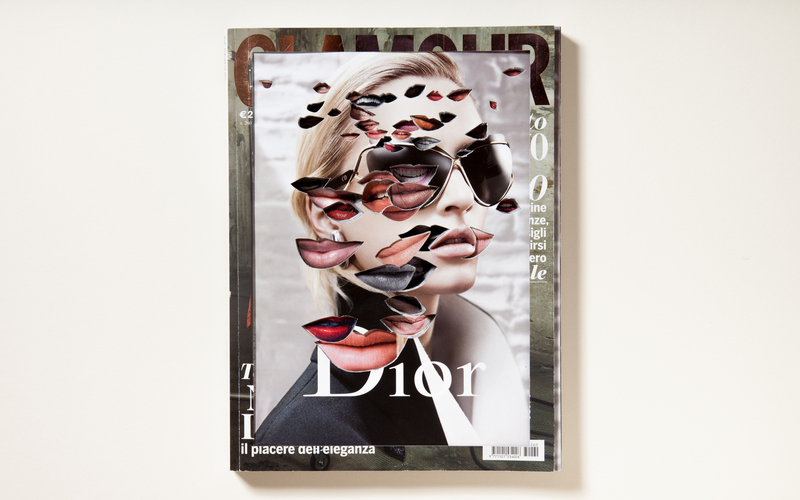 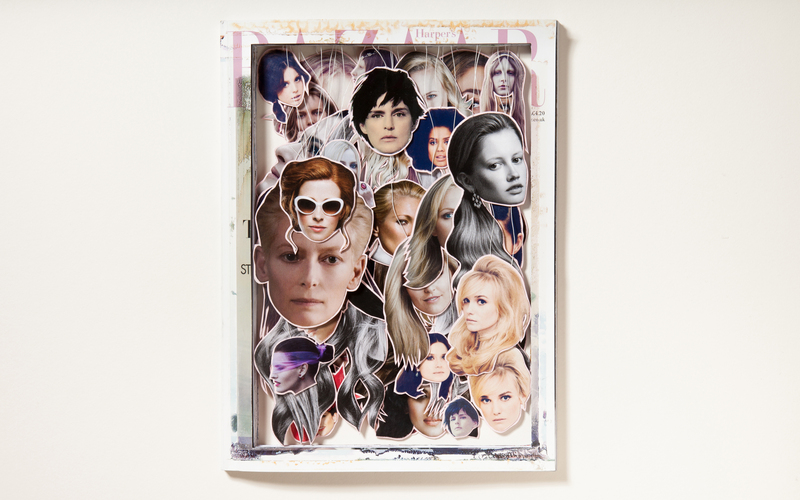 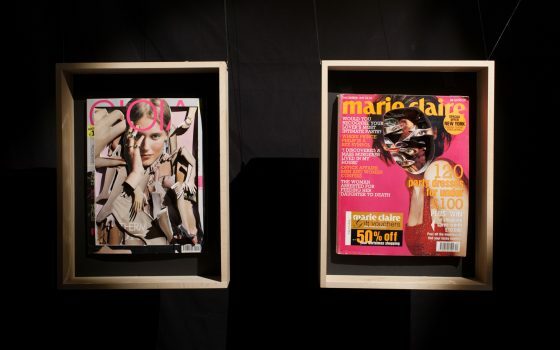 A series of unsettling portraits cut out from glossy fashion magazines. 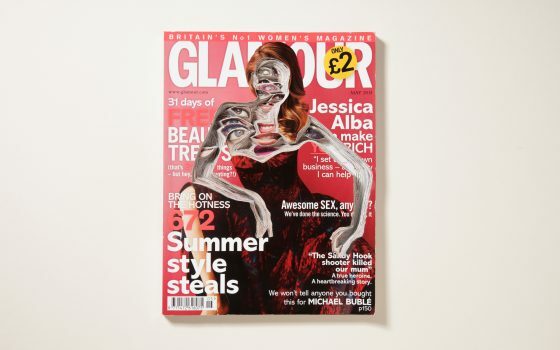 The pages of found magazines have been carved to single out particular elements, that through their accumulation on the cover would create a disturbing new image: smiling lips, bright eyes and translucent legs, extracted from their original context and exposed as a multitude are no longer elements of beauty but become part of disfigured creatures. 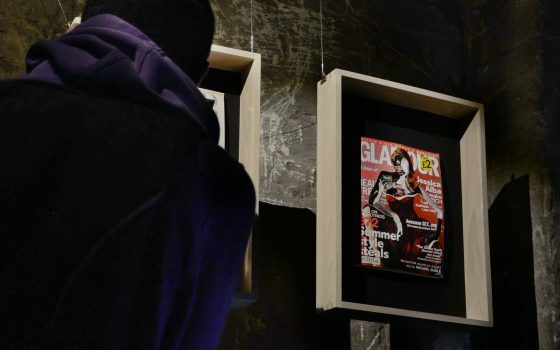 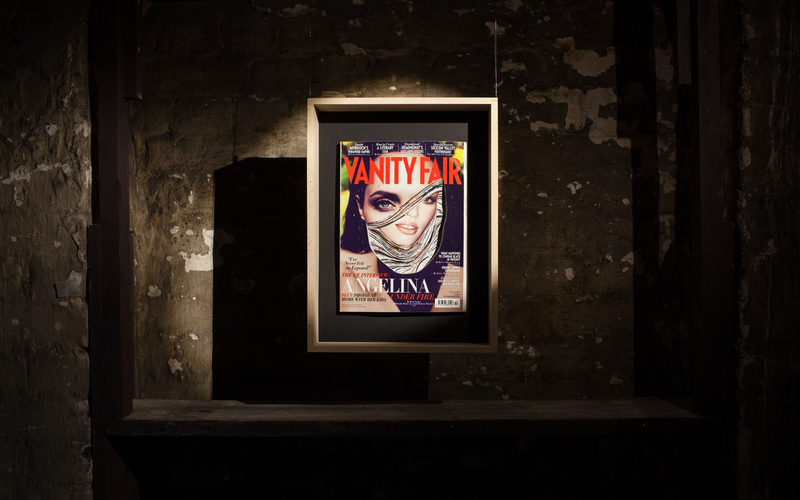 The series has been exhibited in NON STERILE, a solo show organized inside the belfry of a East London church.